Every time that you get an oil change, something will inevitably happen at the end. You will get a sticker to put on the inside of your windshield that will tell you when you should get your next oil change. It will say in 3,000 miles or in three months, whichever comes first. If you are still following that suggestion in this day and age, then you are likely just flushing your money (and some very good engine oil) away. There was a time when the 3,000-mile oil change rule of thumb once applied. But when talking about vehicles from the 2000s and beyond, it no longer does. Advancements in engine technology and motor oil chemistry allow vehicles to go well beyond that threshold today. The new average is much higher. AAA believes that most new and late-model used vehicles can go 7,500 - 10,000 or more between oil changes, depending on a person's driving habits. Many call for the use of synthetic oil or a blend of synthetic and conventional oils. Thanks to advancements over the years, synthetic oils are more robust and maintain their lubricating properties longer than motor oil used to. 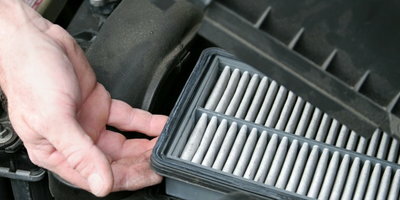 This means that they are able to protect engines from wear and heat far longer while still delivering high performance. Most vehicles come with advanced oil life monitors. These systems alert car owners when it's time for an oil change as needed. The most advanced oil life monitors are able to take into account how the car is driven and the conditions it is being driven under. "The more sophisticated [oil life monitor] systems take into account the number of cold starts, outside temperature, average engine temperature, vehicle speed, and a whole range of other operating parameters. There's an algorithm that calculates oil life based on those, and they're quite accurate," Calkins told the Chicago Tribune. Engine oil life can vary depending on a person's driving behavior and the conditions they are operating under. Automakers classify certain driving conditions as "severe," and they can shorten a person's recommended oil change interval. "Severe" driving conditions include: frequent towing, frequent short trips, engine starts when it is cold, frequent driving in stop-go traffic, frequent idling, and driving in extreme cold or heat. On the other hand, if your driving conditions are favorable (such as mainly highway driving), then your engine oil can last longer than average. 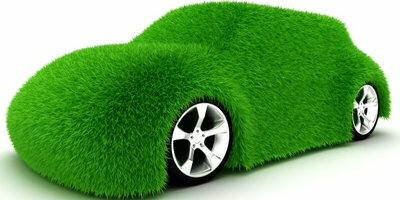 How long your engine oil will last also depends on the car you drive. 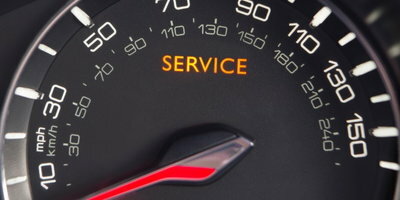 Different cars can go longer between oil changes than others, and different cars will require different oils as well. So, how do you figure out what's right for yours? It's simple, you consult the owner's manual. We know, who would actually take the time to read that thing, right? Calkins calls the owner's manual the "least-read book in history," but he stresses that it is very important. Drivers can educate themselves and find out how frequently the automaker recommends that you get your oil changed, what kind of oil should be used, and how the oil life monitor works (if the car has one). "With these oil life monitors, it is absolutely essential that the vehicle owner use an oil that meets the manufacturer's specifications," said Calkins. For example, Toyota says that if you use what it recommends - full synthetic oil - drivers can expect a 10,000-mile oil change interval. 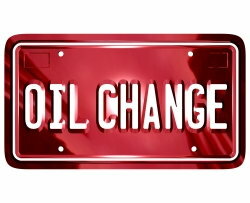 If they ignore the recommendation and opt for conventional or even semi-synthetic oil, the oil change interval is reduced to around 5,000 miles. If you are using an oil that isn't right for your engine, you can hurt performance, reduce both the oil's and the engine's lifespan, and even void an engine warranty. Nobody wants that, so just get out the owner's manual and figure out what's best for your vehicle. To sum things up, you don't have to listen to the sticker in the corner of your windshield if you simply consult your owner's manual. If you drive something from 2000 or newer, then you can probably save yourself a significant amount of money each and every year by following the manufacturer-suggested oil change interval. And if you feel that it is time to upgrade your vehicle situation, you don't have to let your credit keep you from getting approved for financing. Auto Credit Express can help you connect with a dealership near you that works with all credit situations. We'll work to get you pre-qualified if you simply complete our fast and easy online application.